What happens in a MT class? Each week fully trained, registered Music Together® teachers lead groups of six to twelve children and their parents or caregivers (nannies, babysitters, grandparents, or relatives) in forty-five minutes of music and movement experience. Each weekly class offers a dozen songs and rhythmic rhymes, including fingerplays, small- and large-movement activities, and instrument play. Each week is a different experience as we explore the wide variety of 25-28 songs/chants from our current collection of music (1 of 9 collections). A born sounder and mover, your baby is already equipped with the means and potential to make music. You've probably noticed how they respond when you play a song in the car or sing them a song to soothe them. Developing your baby's natural musicality will open the door to a world of possibility, not only for music learning but for all learning. The early months are so important to this process, which is why we designed this special class to help you every step of step of the way. Music Together offers a one-semester Babies Class for families with infants from birth through 12 months of age. In this class, the activities are specifically designed to teach you how to support music development in infancy and how to connect with your baby through music using methods such as "purposeful touch," "sound-layering," "dancing for baby," etc. And since our Babies Class uses the same song collections as our other classes, you will experience a seamless transition as your baby grows into our mixed-age class experience. 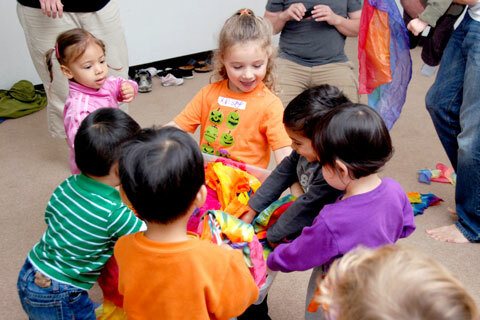 A Mixed-Age class is the essential Music Together class, one that a child can attend from birth through age five, exploring all nine song collections. This basic class follows the recommendations of child development researchers—grouping children of a variety of ages because this fosters natural, family-style learning. Younger children enjoy watching and imitating older ones; older children learn by leading younger ones; and adults are happy because the children in the family can go to class together. Each child participates at his or her own level in singing, moving, chanting, listening, watching, and exploring musical instruments. 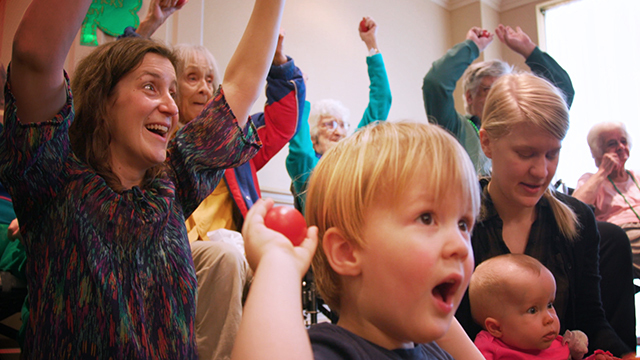 Any caregivers—parents, grandparents, nanny—can bring the children. The whole family is welcome for this important and joyful family music experience! To get the most out of class, Level 2 students will need a drum. We use 9" x 18" djembes, but get whatever size you think is best for your child. We have secured discounts for our students through certain retailers. Ask your teacher for a list of websites and discount codes.